Everyone likes a little luxury at bath time, and Aire more than delivers. 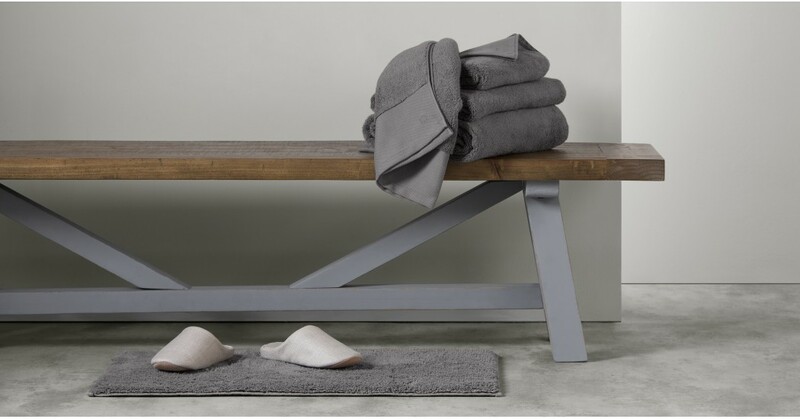 It's our softest towel collection and it now comes in a set of 4 for all your drying needs. We tried the cheek test and it passed with flying colours. Speaking of colours, this cosy essential now comes in even more of them. Plus, there's a matching bath mat, too. Thanks to its woven yarns that have zero twist, the 550GSM cotton absorbs water faster and reduces drying time. Which means you get a few more minutes in bed in the morning… probably.